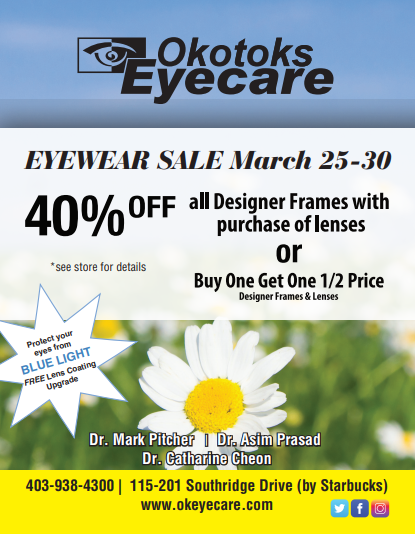 Okotoks Eyecare (previously known as Okotoks Optometry Centre) has been serving Okotoks and area since 1982. We have worked hard to establish a reputation for providing thorough eye exams, friendly service and quality eyewear and contact lenses. Since most of our staff live in the area, community involvement and support has been an important part of what we do. As our community has grown and prospered, so we have grown. We are grateful for our patients and know that our success has occurred by word of mouth referral which we feel is primarily the result of our constant quest for excellence in patient satisfaction and eye care technology. Our goal at Okotoks Eyecare is to help each person maximize their visual performance at work, school and play. 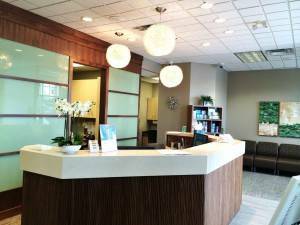 We want Okotoks Eyecare to serve as your family’s eye care practice for life. 80% of people who face blindness suffer conditions that could be prevented, treated or cured. But 90% of all visually impaired people — 253 million people — live in places where it can be difficult to get the right treatment. Orbis is an international non-profit that fights blindness in developing nations. The Orbis Plane Pull for Sight is your opportunity to put your back into helping. WHAT: Pull a 60-tonne FedEx 757 Cargo Plane a set distance, in the least amount of time. Raise the most amount of support for your efforts. OUR TEAM MEMBERS: Dr. Mark Pitcher, Dr. Asim Prasad, Teralee Pitcher, Lisa Fisher, Sean Worden, Tracy Hansen and Tanya Porteous. WHY: Because every ounce of effort helps.